I had to replenish my pantry this weekend, which made me really think about the pantry items I use the most. I find that if I have a well stocked pantry, I can make a great variety of meals with just a few fresh items from the grocery store. That means if I decide to make chicken and sweet potatoes, I can buy the meat and potatoes fresh and then just rely on what is already in my pantry. I love to look at the pantry and fridge and be creative with what I already have. Here are my absolute-have-to-have-staples in my fridge, pantry, and spice drawer. The creamer is great in any recipe that requires cream or milk; the soy alternative is the exact same consistency. 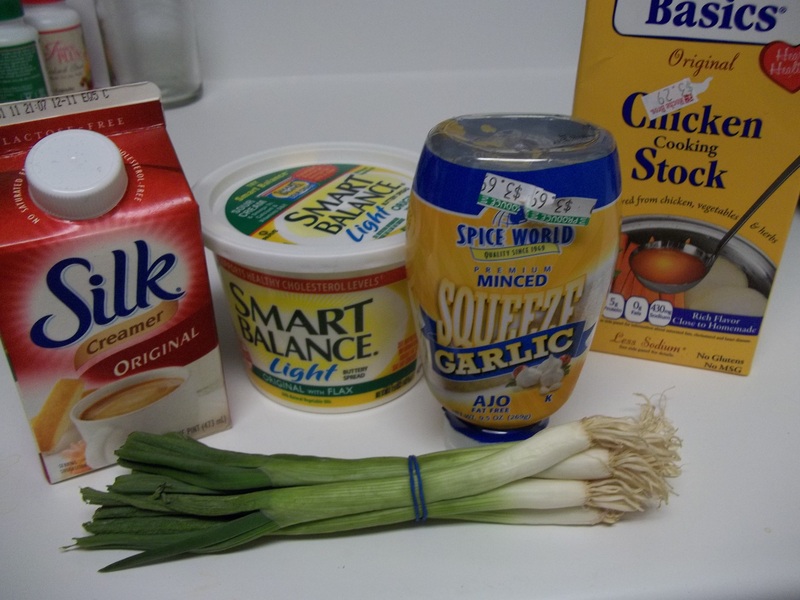 The squeeze-y garlic is perfect because I hate chopping garlic. Oh, and I always have lemons and limes on hand! 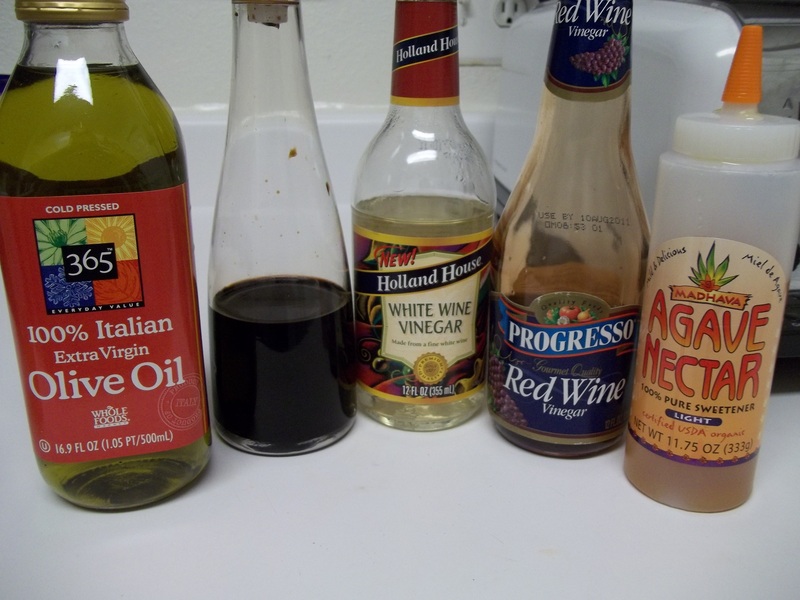 In the pantry, I always have olive oil, 3 vinegars (balsamic, white wine, and red wine), and agave nectar. I feel like I can make any dressing or sauce with these major players and my favorite spices! In my spice drawer, I always have rosemary, parsley flakes, sea salt, lemon pepper, garlic salt, smoked paprika, and cumin. 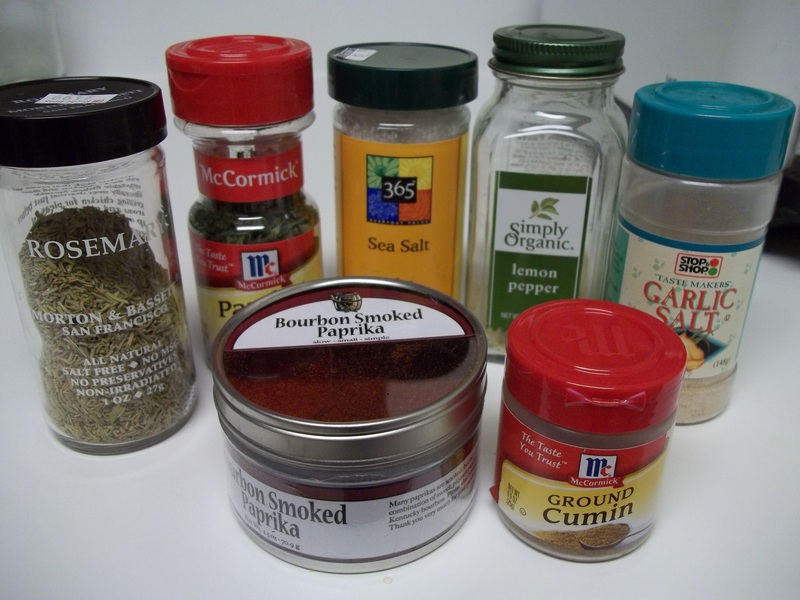 Sea salt and smoked paprika are very different than regular salt and regular paprika… try them! 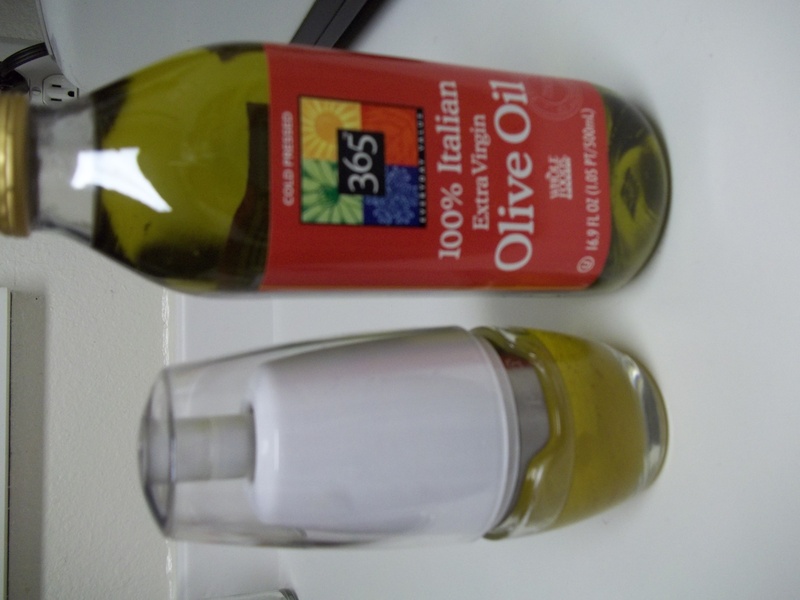 You put the olive oil in the spray bottle and it dispenses the oil in a light mist instead of a large spoonful. It is really great when roasting veggies or moistening chicken because you only use the small amount you need. Now, what to make for dinner tonight with all these fixin’s!